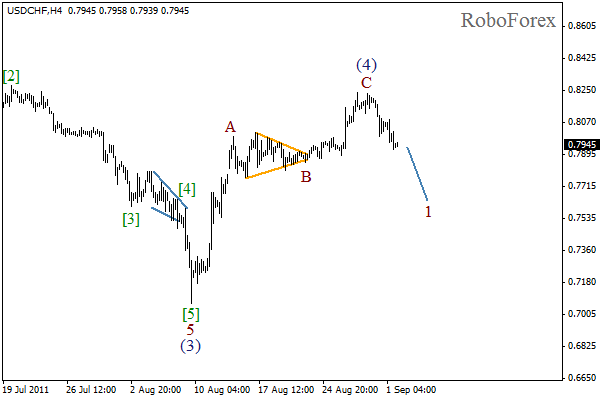 We may assume that zigzag pattern in the fourth wave has been completed, and the price started forming an initial descending impulse. The forecast of the price movement is shown on the chart. 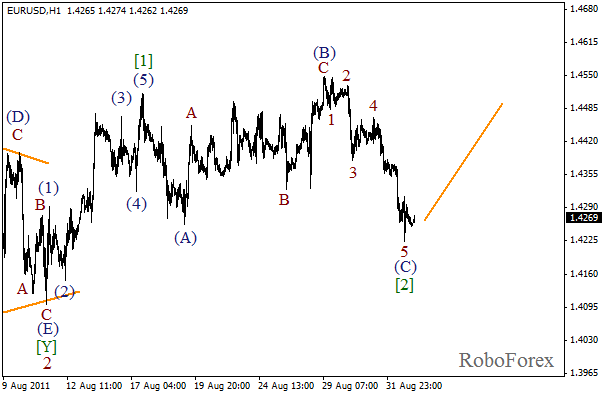 In the near term, we can expect the continuation of a bearish impulse. It looks like wave  is being formed at the H1 chart at the moment. The price may continue falling down. 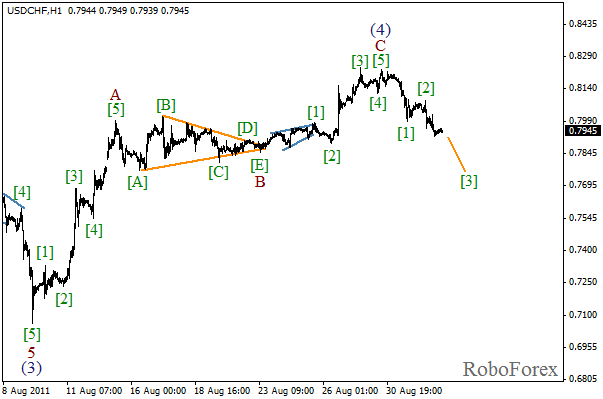 The target of the third wave is the level of 0.7700, the price may reach it in the beginning of the next week. 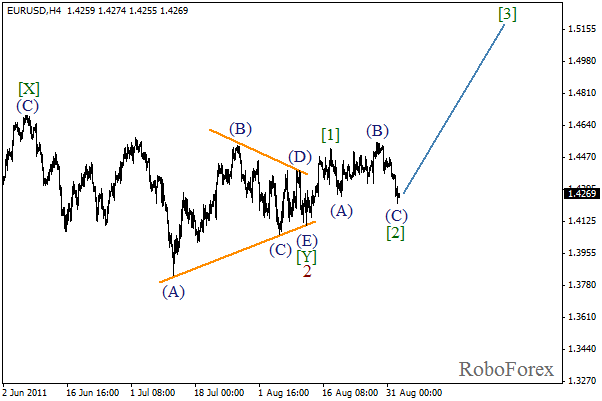 We may assume that flat pattern in wave  has been completed, the forecast still remains bullish. We can expect an initial rising impulse to start inside the third wave during the day. The targets are above the level of 1.5000. It looks like an impulse in wave (C) has been finished. The price is near the local minimum, I think it’s quite risky to start buying right now. The best decision is to wait until the formation of the first wave on the minor wave level, and only then try to enter longs.